February 20, 2017 Eric Miller Uncategorized Comments Off on Olympian Paula coaches at Smashville! Private lessons with Paula! Check schedule below! You may schedule for either a half hr or 1 hr session. Spaces are limited. Friday July 28 and Saturday July 29 will be dedicated to privates for adults and advanced juniors. Privates are $75. / 50 min or 40. / half hr. Friday Night Club play with Paula Club – limit 6 per rotation 25. SIgn up for either 6:30-8pm or 8 – 9:30pm. 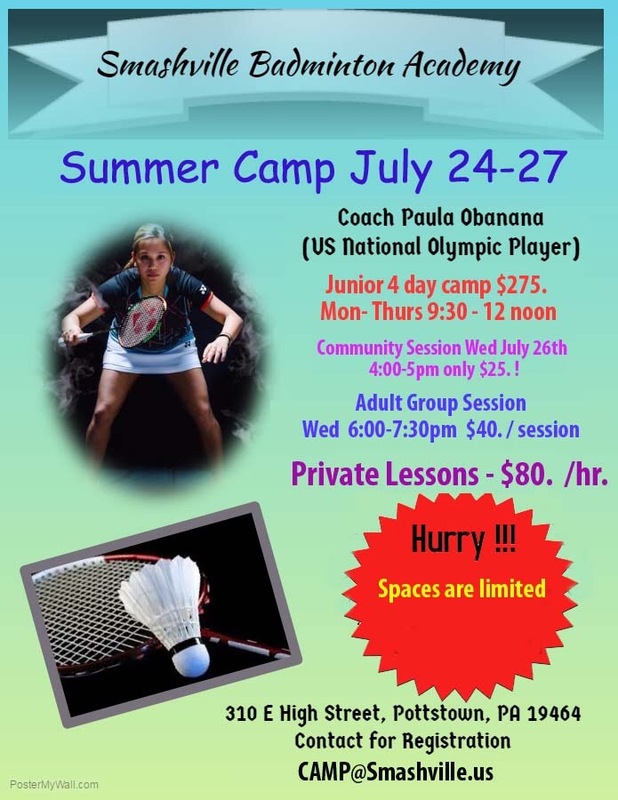 Rotate into doubles games with Paula! PAYMENT HERE! Or use Venmo, PopMoney or personal check.